A favorite of native enthusiasts, these colorful perennials attract bees, butterflies and hummingbirds with their vibrant blossoms each summer. They are dwarf, clump-forming varieties that return reliably every year in zones 4-8 and are exceptionally resistant to powdery mildew. 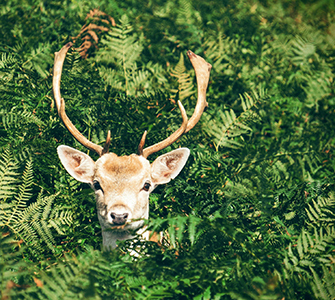 Deer steer clear once they catch a whiff of their minty-scented foliage. 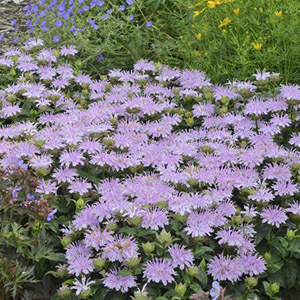 Plant Leading Lady bee balm for earlier color, then Pardon My varieties to extend the bloom season through midsummer. Best in full sun to part shade. The fuzzy, fragrant foliage of catmint is detested by deer. ‘Cat’s Meow’ is a lower maintenance selection that is prized for its naturally neat, dense habit that won't need trimming to keep it in bounds like older varieties. It is very easy to grow in zones 3-8 in full sun and well-drained soil. 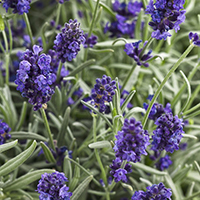 Just plant it and forget it (that’s right—no extra water or plant food needed), and it will return the favor with bushels of bright lavender purple blossoms in early summer and early fall. 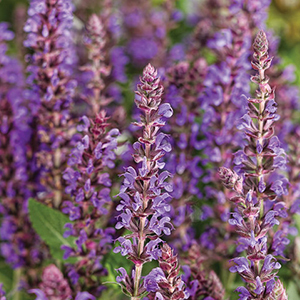 If you want to attract pollinators to your garden, plant salvia. While its fragrant foliage is not preferred by deer, all sorts of bees, butterflies and hummingbirds are dazzled by its blooms which appear around early summer. Hardy Color Spires salvias are super easy to grow in full sun in zones 3-8. They are drought tolerant once established. These lovely perennials are a staple item for every spring garden. The finely textured, fragrant, fuzzy leaves of Sweet Romance lavender are rarely on the menu for deer and other critters. You will love its heady sweet fragrance, so be sure to pick a few stems for bringing indoors. This variety is particularly long blooming with rich violet purple flower wands produced continually from early summer into fall in full sun in zones 5-9. It is very drought tolerant once established. By now you’re probably sensing a theme here—perennials with fragrant foliage are rarely bothered by deer. 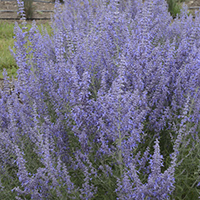 Russian sage is certainly no exception. 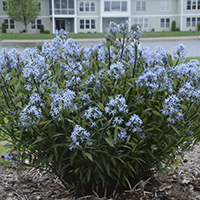 Its fragrant foliage is highly deer resistant, while its bright amethyst blue flowers are a favorite of bees and hummingbirds. 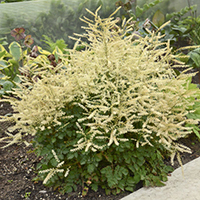 ‘Denim ‘n Lace’ has a tidy habit that won’t spill over onto its neighbors in the garden. Full sun and dry, unfertile soil will keep it happiest for many years to come in zones 4-9. The finely textured foliage of ornamental grasses tends to keep them out of the mouths of deer that are looking for more succulent food to eat. Grasses also provide shelter for them and other little critters throughout the fall and winter months. 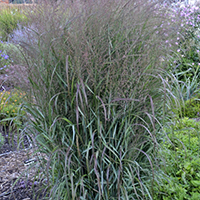 Proven Winners offers a number of native and non-native ornamental grasses, each with its own unique set of benefits. 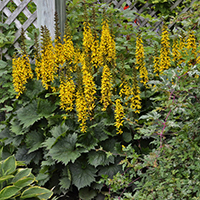 The leathery, serrated foliage and spiky flowers of Ligularia are typically not preferred by deer meandering down your shady pathways. They would much rather eat your tender hostas instead! (Think kale salad v. baby lettuce--which would you rather eat?) 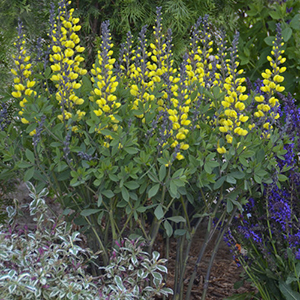 ‘Bottle Rocket’ is an improved cultivar with greater heat tolerance, thicker textured leaves, and bright yellow flower spikes that are held just above the foliage. Its flowering performance is best when planted in part shade and moist soil in zones 4-9. The finely textured foliage and skinny flower spikes of Veronica puts them near the bottom of the menu for deer who are looking for plants of greater substance to fill their bellies. Luckily, that means gardeners can plant swathes of vibrantly hued purple, pink or white veronicas in their sunny to lightly shaded landscapes in zones 4-8 with no worries. Bees, butterflies and hummingbirds enjoy their blooms for many weeks beginning in early summer. These shorter selections of our native prairie Baptisia may be scaled down to fit in urban gardens, but they haven’t lost their deer resistance in the process. Bees and butterflies enjoy their late spring blooms, which come in a broad range of colors in this series. Baptisias are highly drought tolerant, enjoy full sun, and are extremely long-lived in the landscape in zones 4-9. Choose a permanent place when planting, as they resent being moved once established. 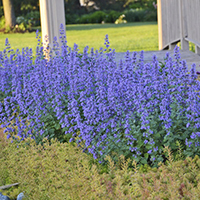 Blue star is a classic native perennial that thrives in zones 4-9 in full sun to part shade. Its finely textured foliage doesn't offer much sustenance for deer, so they typically pass it by in favor of something meatier. ‘Storm Cloud’ is named for its unique near-black foliage and stems that emerge in spring before transitioning to deep green. It sets the perfect backdrop for the periwinkle blue flowers in late spring. 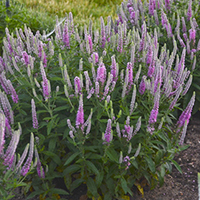 This long-lived perennial is a good choice for low maintenance landscapes. Goatsbeard has great potential to become your newest favorite perennial. It’s just starting to be discovered by gardeners who are impressed by its versatility of growing in sun and shade, and love of plain ole average soil. Deer haven’t discovered it yet either, maybe because its lacy foliage and wispy white blooms get stuck in their teeth. Whatever the reason, we’re happy to offer this easy to grow, low maintenance perennial for zones 3-7. Every shade garden needs a few foamflowers like ‘Cutting Edge’. Why? They are easy to grow across North America in zones 4-9 in partial to full shade, they provide an early season pollen source for bees in spring, and they aren’t bothered by deer. Our theory? Their low growing, slightly hairy foliage requires way too much effort to bend all the way down to eat. Deer would much rather go after taller, more succulent plants. So go ahead and grow a carpet of foamflowers. You’ll be glad you did come springtime! Want to learn more? 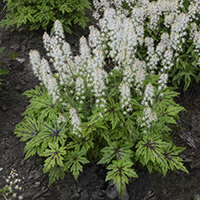 View our Pinterest boards for deer resistant perennials and shrubs. Great list. Is there a list of rabbit resistant perennials? We have had wonderful success with a product called Plantskydd. We use the granules and mix a batch when we need it. My husband puts it into a two gallon sprayer and then coats everything we know the deer like to eat. It does have a smell but you only have to apply every three to four months, no matter how much rain comes down. It is a little expensive but I can now enjoy so many varieties of hostas and coneflowers with no nibbling and frustration. PS we buy it online. We do not yet have a compiled list for rabbit resistance. You could visit the following site, that has search capabilities of over 100 characteristics. www.PerennialResource.com once you land there click on the Perennial Encyclopedia, once that page opens, look for the Critter Resistant tab and click on the arrow. Then click on just the Rabbit Resistant box and then click the go button. A list of perennials will open below the search box with potential perennials that are Rabbit Resistant. Hope this is helpful, thank you for your inquiry. I live in western Minnesota and the deer do eat my goatsbeard (Aruncus) unless I spray it with Liquid Fence. This is a good start for our bee association. We are looking for zone 3-4 plants that are bee friendly. Also trying to fund the best annuals and shrubs for Upper Michigan..
We grow helianthus giganteus, giant sunflower plants in our perinnial flower bed in Crystal Falls, central U.P. It is like a Maximilian sunflower plants. Very tall and the bees have a constant food source for months. The deer do not seem to bother with these plants at all. The bees are swarming ours constantly once blooming begins. Very happy to see a new list so bright and covering some shade plants. I have a lot of shade to cove in cover besides bark. I have a large family of deer of deer that have been with me for years. I do not spray I need to protect naturally big thanks these will be helpful. Try Deer defeat. You can get it online. Not cheap, but when you spend a small fortune for plants, the $50 is reasonable. we started using this about 5 years so ago. As we have alot of shade,we have hostas and we have some daylillys. we will watch deer go right past them. spray about every 1-2 weeks, even if it rains. It smells awful, but goes away after about 15 minutes. There are sprays to use to keep the deer, rabbits, etc off your plants. I use "Liquid Fence". It does have a nasty smell but not too obnoxious. Don't use it it when standing down wind, you'll have the smell on you for a while.